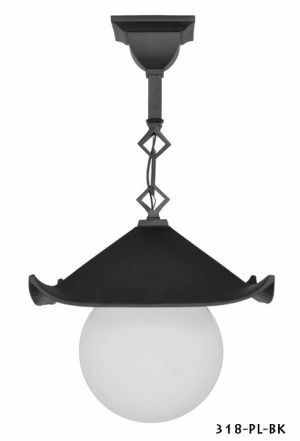 One of Our Newest Fixtures, A Pagoda Pendant Light. Being a casting and machine factory who produce custom work for others, as well as our own line of house hardware and lighting, here is our newest recreation that we can share with you, as well. This is the cast iron “Pagoda Light” from the 1914 Historical Park at Point Defiance (near Tacoma), WA. 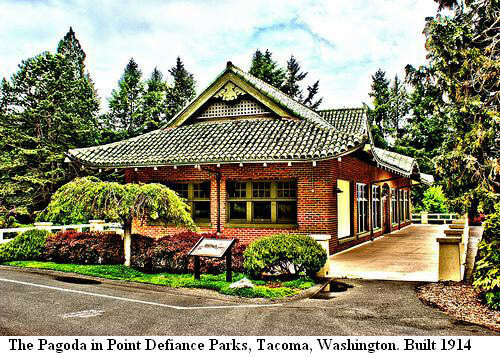 The Pagoda at Point Defiance Park opened to the public in May, 1914, as a replica of a 17th century Japanese lodge, influenced by Japanese architecture of the Hare and Hare plan of 1911. Referred to as “The Car Station”, the pagoda served originally as a waiting room for streetcars, with restrooms and first aid facilities on the lower level. Architect Luther Twichell designed the new streetcar station in the Japanese "Pagoda" style, which was complementary to the adjoining gardens. Later used as a bus station, and then as a local venue for gardening clubs and floral displays, the pagoda was restored in 1988. It looks as much the same as it originally did, with some modern updates. 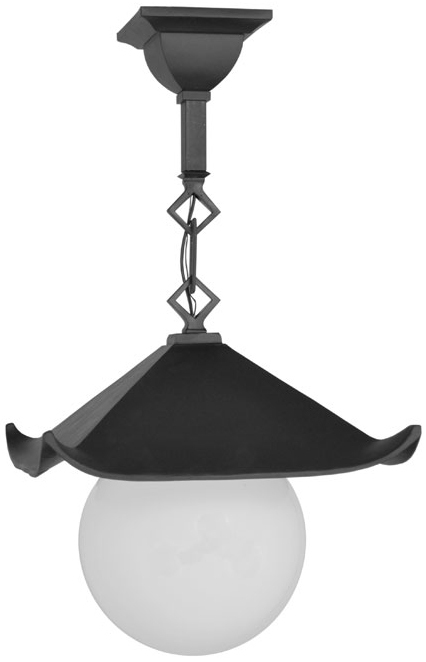 In 2010 Vintage Hardware & Lighting was commissioned to reproduce the Pagoda Light to replace damaged and missing lights. 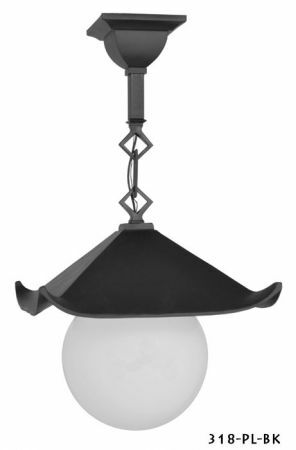 Height: 26 ½” tall overall, from the bottom of the round shade shown to the top of the canopy. Width: 12” (decorative roof width). 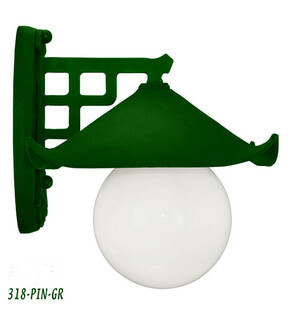 Wattage: Single medium base socket (E26), rated for up to 150 watts incandescent. We are showing this versatile light with our 4" fitter round opal glass shade, which duplicates the 1914 original shade. Glass shades are sold separately.